May 31, 2011 - A new air traffic management system has gone into operation at Shannon and Dublin in the past month. The system is the first in Europe to be introduced under COOPANS, a cooperative procurement agreement between several European air navigation service providers (ANSPs) and system manufacturer, Thales ATM. 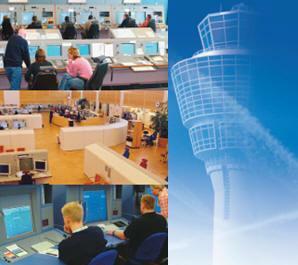 Under the COOPANS agreement member ANSPs have agreed a common specification for the air traffic management system to be used in each of their countries. This system, recently introduced by the Irish Aviation Authority (IAA), equips air traffic controllers with improved functionalities whilst maintaining maximum levels of safety and increasing capacity to improve customers? demands. The IAA is now operating the most advanced system in Europe. The original partners in the COOPANS agreement, Naviair of Denmark and the LFV Group of Sweden are scheduled to bring this system on line early next year. Austro Control and Croatia Control are scheduled to introduce the system in 2013 and 2014 respectively. This project to date represents a collective investment of nearly ?200 million, of which the IAA has contributed almost ?50 million. This cooperative procurement methodology however brings cost savings of 30% according to independent analysts. Mr. Eamonn Brennan, IAA chief executive, said that implementing the COOPANS agreement marked a technical and investment milestone for the Authority. "Joint procurement under the COOPANS agreement has enabled the Authority to upgrade its air traffic management system whilst benefiting from joint economies of scale. The Authority has also been in a position to capitalize on the experience and creativity of top experts from all partners in COOPANS. Importantly, the risks associated with the introduction of a completely new ATM system are reduced through this incremental approach," he said. The IAA will benefit from the economies of scales now and in the future and will share operational and technical expertise and resources. The COOPANS agreement also supports any essential requirements for the introduction of the Single European Sky initiative, in particular the SESAR program. Sharing their local and European experiences, COOPANS members are working together to agree on common specifications. Technical and decision committees such as the centralized change control board, convene on a regular basis to ensure the coordination and execution of agreed decisions. Work is already underway on COOPANS Build 2. Mr. Brennan said that COOPANS highest priority was to provide a customer-oriented solution, supporting economic efficiency and environmental protection. "COOPANS intends to stay at the forefront of European standards, implementing the latest proven air traffic management tools to minimize CO2 emissions and improve situational awareness," said Brennan.